Chris Freeland, Martin Kalfatovic and Keri Thompson attended technical meetings related to the Biodiversity Heritage Library China node, November 15-17, 2010. The meetings, held at the Institute of Botany, Chinese Academy of Sciences (Beijing) took place over three days and covered scanning workflow, operation of the Internet Archive Scribe machine, technical standards for ingesting BHL-China materials into the BHL portal site, and replicating BHL data on IB/CAS servers. 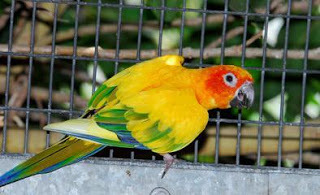 The concept of threatened and endangered species is not a new idea for most of the world. Most are now well aware of the shadow that looms over so much of the magnificent life on our planet. While many efforts are underway around the globe to protect the species that are threatened, it is important to continue to raise awareness of the plight faced by so many of the creatures that share our planet. A promo video for the Biodiversity Heritage Library. Thank you, Society for the History of Natural History! Staff of BHL are humbled to announce that we have been recognized by the Society for the History of Natural History for the past three years of efforts on behalf of our digital repository. 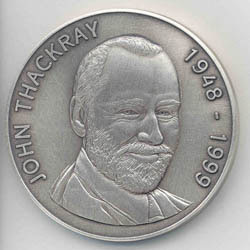 The John Thackray Medal is especially rewarding to receive because it appreciates the comprehensive nature of our work. BHL is here to support the work of plant, animal and earth scientists alike and the John Thackray Medal is likewise an advocate for the broadest sense of natural history. We sincerely thank the Society for their work as well.